Vanderbilt Chancellor Nicholas S. Zeppos awarded the top scholars from each of the university’s undergraduate and professional schools with Founder’s Medals during Commencement Friday, May 13. Leslie Katherine Bruce, from Belton, Missouri, is Founder’s Medalist for the College of Arts and Science. She is graduating with a bachelor of arts. Bruce believes in “ubuntu,” an African philosophy emphasizing the interconnectedness of humanity and she works to foster conversations among members of diverse groups. As a 2015 Humanity in Action Fellow working with students from U.S. and European universities, Bruce spoke with Muslim activists about “the struggle to combat the rise of Islamophobia in France, while upholding the foundational French principle of secularism.” She was a White House communications intern and at Vanderbilt she served on the Vanderbilt Speakers Committee, helping to organize the Impact Symposium. After graduating Phi Beta Kappa with a major in political science and minors in economics and history, Bruce will serve as assistant to Judge Sri Srinivasan on the U.S. Court of Appeals for the D.C. Circuit, an auspicious next step toward her ultimate goal of studying First Amendment law and becoming a professor of constitutional law and legal history. Amy Victoria Thompson, from Springfield, Tennessee, is Founder’s Medalist for the Blair School of Music. She is graduating with a bachelor of music in harp performance and a concentration in composition. Thompson is a recipient of the Lanier Leadership Scholarship, which is part of the Cornelius Vanderbilt Scholarship program. She is a member of Pi Kappa Lambda, the national music honor society and president of the Blair Composition Forum. She began her studies at Blair in the precollege program and was awarded the College Preparatory Certificate. During her collegiate career, Thompson studied at the Young Artists’ Harp Seminar, the Institute for the International Education of Students’ summer music history and performance program in Vienna; the European American Musical Alliance summer composition and theory program at La Schola Cantorum in Paris; and the Royal Academy of Music in London. In 2015, Thompson was the Young Composer’s Forum winner at the Tennessee Valley Music Festival. Passionate about sharing music with others, Thompson has been a volunteer performer for countless special events on and off campus and a volunteer teacher at the W. O. Smith Music School. After graduation, Thompson will pursue her master’s degree in harp performance at McGill University in Montreal, Canada. Julie Anne Schnur, from St. Louis, Missouri, is Founder’s Medalist for the School of Engineering. She is graduating with a bachelor of engineering in biomedical engineering. Schnur is recipient of the Robert H. McNeilly Memorial Scholarship. She credits the School of Engineering with helping her “build the technical background, creativity and communication skills to succeed.” As a member of Vanderbilt’s Design for America studio, which works to implement social change through the design process, she worked on projects ranging from increasing sustainability on campus to providing better access to transportation for Nashville’s homeless population. She also led a Design for America project aimed at decreasing ambient noise in hospitals to improve patient comfort. She was a member of Vanderbilt Student Volunteers for Science and says that “watching middle school students get as excited about science experiments as I am brought me a lot of joy.” In the lab, Schnur spent the past three years researching ways to reduce the number of bone fractures in at-risk populations by improving risk assessment tools and identifying determinants of bone toughness. That experience has inspired her to pursue a career in medical device research and development. Felicia Hanitio, from Singapore, is Founder’s Medalist for Peabody College of education and human development, and is graduating with a bachelor of science in child development and human and organizational development. Hanitio received a four-year Peabody Dean’s Achievement scholarship and was elected to Omicron Delta Kappa, the national leadership honor society. She seeks to nurture diverse, caring and inclusive relationships between students through her roles as a prospective international student recruiter on behalf of the Admissions office, leader in an Asian American Christian student fellowship, Running Club practice captain, dancer in the Asian New Year Festival and Diwali showcases and Alternative Spring Break volunteer. A Peabody Scholars summer stipend allowed Hanitio to spend two months with Children for Change Cambodia, co-piloting a social action program for youth at risk of human trafficking and economic marginalization. Her honors thesis in HOD, “A Model to Predict the Emergence of Community Psychology and Community Development in 91 Countries,” examines links between informal grassroots social action processes and the emergence of formalized, community-based research disciplines. After graduation, Hanitio will explore positions with a focus on Southeast Asian development and future graduate studies in international development. Samantha Tashman McGlothlin, from Hoover, Alabama, is Founder’s Medalist for the Divinity School. She is graduating with a master of divinity. 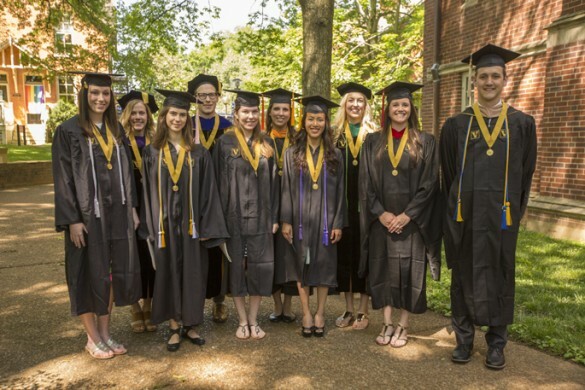 McGlothlin attended the Divinity School as a Cal Turner Scholar, an honor bestowed upon students who demonstrate ministerial leadership skills in the United Methodist Church. She proved her leadership abilities by serving as chair of the university’s Methodist Student Association, as a ministry intern at Providence United Methodist Church and as a chaplain at youth camps. McGlothlin says of her time at the Divinity School, “My hope is that we have been one another’s teachers — that we have all been challenged and transformed by our collective work.” Because of her work within the Divinity School community “of bright, compassionate, authentic people seeking to love God and others fully,” McGlothlin leaves Vanderbilt “committed to practicing theology in relation to human suffering and to the embodied experiences of all people.” She will begin this practice in her new role as associate pastor for the congregation at Belle Meade United Methodist Church in Nashville. Andrew T. Niemeier, from Evansville, Indiana, is Founder’s Medalist for the Owen Graduate School of Management and is graduating with a master of business administration. Niemeier received numerous academic honors at Owen. He received the E. Bronson Ingram Scholarship, was named a Dean’s Scholar and received the Bruce D. Henderson Scholarship. He was recently inducted into Beta Gamma Sigma, the International Honor Society for business students. Niemeier graduates with concentrations in human and organizational performance and strategy. Niemeier volunteered for Big Brothers/Big Sisters, United Way and Youth Baseball. He was also a teaching assistant for five foundation courses at Owen: Managerial Finance, Statistics, Marketing, Strategy, and Business in a World Economy. After graduation, Niemeier, his wife, Elyse, and son, Rowan, will head to Indiana to help grow his brother’s business, Azzip Pizza, which has four locations in Indiana and Illinois and a fifth under construction in Kentucky. Lauren Messonnier Meyers, from Lafayette, Louisiana, is Founder’s Medalist from the Law School. She is graduating with a doctor of jurisprudence. She is also a recipient of the Dean’s Scholarship. Studying abroad as an undergraduate provided Meyers with an international perspective on human struggles. What she learned about human trafficking and slavery elicited her desire to become a lawyer. Meyers excelled in her legal studies. She was the recipient of the Robert F. Jackson Memorial Prize for the highest scholastic average after two years of law school, placed on the Dean’s List all semesters, won multiple Vanderbilt Scholastic Excellence Awards for the highest grade in the class, was a Moot Court quarter finalist and served on the Moot Court Board, and was notes editor for the Vanderbilt Law Review. After graduation, Meyers will begin practice as an associate at the law firm of Vinson & Elkins in Dallas, Texas. Andrew Joseph Hines, from Lake Charles, Louisiana, is Founder’s Medalist for the Graduate School. He is graduating with a doctor of philosophy in English. Hines was launched on his academic and professional path when “a set of inspiring teachers and mentors raised a number of questions about the representation of history and the world.” His research has since investigated “the public and cultural pertinence of the interpretation of literature in the classroom. Ultimately, teaching students to consider literature as an integral part of conversations about sociopolitical theory and practice provides an argument for the importance and the impact of the humanities in social and political life.” Hines has been awarded numerous prizes for his research and teaching, including the Outstanding Graduate Student Teaching Award and the Robert Manson Myers Dissertation Award. Parts of his dissertation, which chronicles how black writers in the mid-20th century contested New Critical practice, have been published in Public Books and Criticism. 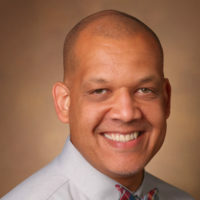 Since receiving his degree in August, Hines has been a lecturer in the Department of English at Vanderbilt. Jessica Nicole Walker, from Brentwood, Tennessee, is Founder’s Medalist for the School of Nursing. She is graduating with a master of science in nursing in the Psychiatric-Mental Health Nurse Practitioner program. Walker discovered a passion for research while excelling as student, volunteer and scholar. She received the American Psychiatric Nurses Association Board of Directors Student Scholarship and presented research at the APNA annual conference. Walker served as president of the National Alliance on Mental Illness at Vanderbilt and volunteered at NAMI of Davidson County, Renewal House and Room in the Inn. Certified as a Psychiatric-Mental Health Nurse Practitioner–Across the Lifespan in 2015, Walker provides diagnosis, therapy and medication management for mentally ill patients who are homeless. She is currently enrolled in the Doctor of Nursing Practice Program at Vanderbilt, where she is pursuing her interest in evidence-based practice. Mary Ellen Irene Koran, from Annapolis, Maryland, is Founder’s Medalist for the School of Medicine. She is graduating with a doctor of medicine and a doctor of philosophy. Koran began swimming competitively at age 7, an early indication of her discipline, dedication and work ethic. When she was in college, her mother was diagnosed with Parkinson’s disease. The lack of definitive treatment for the disease drove Koran to apply to M.D./Ph.D. programs. She entered the Medical Scientist Training Program at Vanderbilt in 2009. She completed her graduate work a year early and then applied her skills in a postdoctoral project focusing on large-scale computation of heritability measures. Koran has published six first-author papers and six second-author papers and was chosen as one of two students to give a Flexner Deans’ Lecture. She was president of the American Medical Student Association, inducted into Alpha Omega Alpha medical honor society in her third year of study and active on the Student Advisory Committee for the M.D./Ph.D. program. Koran and her husband, Cody Goodwin, Ph.D., will move to Stanford University for her radiology residency after she completes her internship in medicine at St. Thomas Health in Nashville.